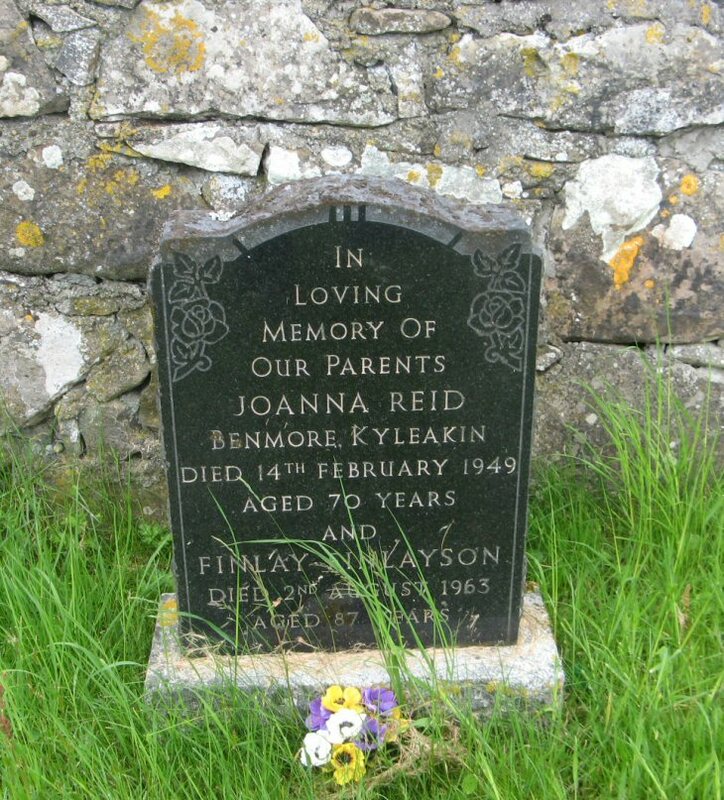 Skye Gravestones | Joanna Reid & Finlay Finlayson. In/loving/memory of/our parents/JOANNA REID/Benmore. Kyleakin/died 14th February 1949/aged 70 years/and/FINLAY FINLAYSON/died 2nd August 1963/aged 87 years.